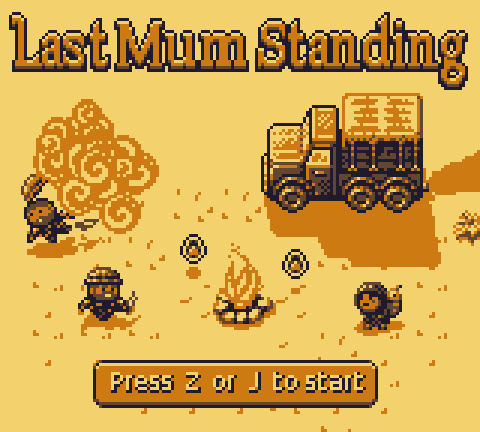 This is Last Mum Standing, a game I made for the annual, third gameboy jam, which was held from the 1st to the 10th of August. It’s not really what I wanted it to be. I had some trouble with figuring out HaxePunk. But I managed to make a neat little game within the time limit. In conjunction with HaxePunk, I used GraphicsGale for graphics and animations. Sounds were made with Korg DS-10 for Nintendo DS. Play it on Game Jolt! Dylan Dophemont 2019 © - Unless otherwise stated, all rights reserved.